If you are one of those unlucky ones who spend a lot of time and effort making great content but get very little in return, then you need to join an ad network asap. There are a ton of ad networks out there, that provide a plethora of monetization options and plans to better fulfill your needs. In an ideal world, all the incoming traffic on your website should lead to revenue generation, but this rarely happens. For some, this might be a dream, but this dream can become a reality. Pushy ads can help you achieve this goal and make it into a reality, not just a fantasy. Pushy Ads network is the leading ad network that generates ads on adult websites. Pushy Ads work by the simple concept of push monetization. This makes it easier to earn money if you are operating an adult website. Pushy-ads is a web push monetization company for adult websites that has reinvented the technology to help users with all of their monetization issues. The network helps users build a subscriber list. Once users have built a subscriber list, they can customize that list so pushy-ads will manage advertisers who will start bidding to send their messages to your subscribers. This eventually helps you earn massively much more revenue when more users subscribe to your website. So essentially the more subscribers one has the more the revenue they can earn. Not only can you make more money you can send messages to your subscriber list informing them about new content, info, updates, special offers and much much more. Best of all, you can expand your user base, bring in more traffic and cross promote your products. Pushy ads has a massive lineup of products it offers to both publishers and advertisers alike. Pushy ads makes it easier to earn revenue via ads. For advertisers, Pushy Ads increases engagement with the crowd and helps them to spread word of mouth. Advertisers get high performance and vast distribution for their ads budget. By advertising on publishers website or apps, users can generate direct traffic from the site that helps and increases their monetization opportunities. This gives users unlimited possibilities to bring in more users to their website and earn more money along the way. Pushy Ads is a great ad network due to the high variety of Cost Per Click (CPC) and CPM Ads that it provides it makes a reliable ad network for adult websites. It can help website owners earn money via Interstitial Ads, Banner Ads, Text Ads, through Desktop and Mobile devices for all adult networks. Pushy-Ads help publishers have a great revenue channel with an option to get paid in several different methods in a timely manner that is most suitable for you. This makes it one of the most flexible ad networks on the market. Users will get quick integration for your website from standard push notifications to full-screen ads, Pushy-Ads offers great ad placement customization. In only about 10 minutes you can make the ads go live on your website and start monetizing the incoming traffic. Pushy Ads ensures that users get the best value when they subscribe to their platform. The platform enables users facilities to the publisher to choose the formats of payment plan and they can observe the traffic performance in real time and see the progress on online reporting panel anytime. Pushy-Ads is the leading ad network for adult sites on the internet in terms of Push Notifications. It focuses on helping your adult website earn more money by a variety of methods. You should definitely consider all these factors while looking for an ad network. 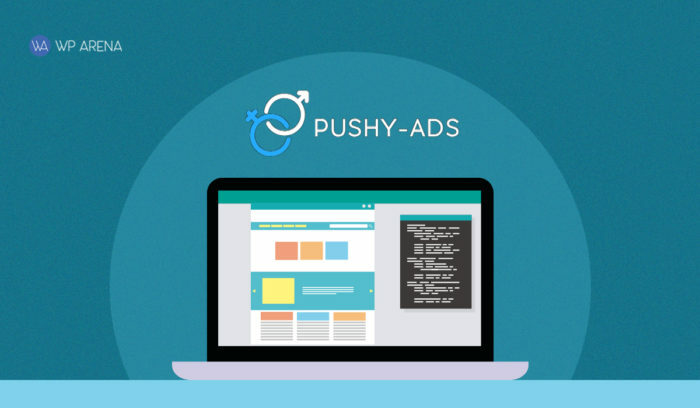 Pushy-Ads is compliant with the latest rules and regulations and provides a seamless and robust ad integration that is matched by few. For anyone looking to generate ads on their adult website, Pushy-Ads is a reliable and trustworthy network. How Easy Is It To Be A Freelance Social Media Manager? Next Post ARPrice Review – Why it worths each penny of it?